Filmora Scrn helps you smoothly record CS Go. Counter Strike: Global Offensive or CS Go is a popular first person shooter game that allows multiple players to enjoy with impressive gaming hours. CS Go is compatible with PS3, Linux, Max OS X and Windows platform but has some limitations over versions of computer. The game actually features two teams where one act like terrorists and another has to play the role of counter terrorists. Both teams have their own objectives as terrorists will keep on planting bombs or make efforts to defend hostages whereas counter terrorists have to job of preventing bomb blasts and helping hostages with rescue process. CS Go follows six unique game modes where each mode is popular for its unique characteristics. These modes are named as Weapons Mode, Deathmatch, Demolition, Arms Race, Casual and Competitive mode. Some of these modes can be played online whereas others are available offline. The game allows players to take part in several tournaments where competitions become more interesting with powerful character performances. Bandicam is one of the most popular game recorder tools because of its light weight work performance. It can easily capture crisp details from your PC screen and users can also make selections for certain particular portion of screen to record. Bandicam allows users to capture games with high compression ratio and the resulting output quality is promised to be much closer to that of original work. Its performance is rated to be pro friendly with lots of superior functions. Customized recording facility with area selection option. Enjoy real time drawing for videos as well as screenshots. Add webcam overlay on videos. Merge own voice into videos. Add logos and mouse effects. How to record bandicam to Record CS Go? Step 1: Launch Bandicam on your system and then choose ‘Game Recording’ mode to get high quality video recording facility on your system. Step 2: It is time to start playing Counter Strike game on your system. Step 3: Users can adjust settings for frame rates and the preferred number is displayed on top left corner of the screen with green color. Step 4: You can access F12 key to initiate the recording process. Step 5: As soon as recording starts on your device, the green number gets automatically turned to red color. Step 6: When you game finishes, you can hit the record button again or simply press the F12 key. Step 7: If you want to preview the recorded file before sharing it with your friends then go to general tab and hit ‘open’ button to play your recently recorded video. The latest update for OBS was made recently on 21st May 2017; here OBS stands for Open Broadcast Software and it is an open source video recording software tool. You will be glad to know that OBS can be accessed for free by anyone from any corner of world. This interactive recording tool offers compatibility over Linux, Mac and Window platform. OBS offers high performance recording facility with its advanced capturing and mixing abilities. It is possible to switch easily between numbers of customized transitions. There are lots of filters that can be used for color keying, color correction and image masking whereas audio mixer is available to improve audio quality in terms of noise suppression, noise gate and gain. One can easily add new sources to this platform and it is also possible to duplicate the existing ones. There is a streamlined settings panel that assists in easy configuration of recording and broadcast adjustments. Professionals love to access collection of light and dark themes in OBS platform. With all such incredible features, this software tool becomes best choice for the action games like CS Go. OBS saved videos with higher compression rates so you can share them easily online even on low bandwidth range. ShadowPlay can capture and record all your incredible gaming moments. It offers user friendly service for recording and sharing gameplay videos while ensuring great content quality. You will love to switch to its Instant Replay Mode that makes background recording more useful. 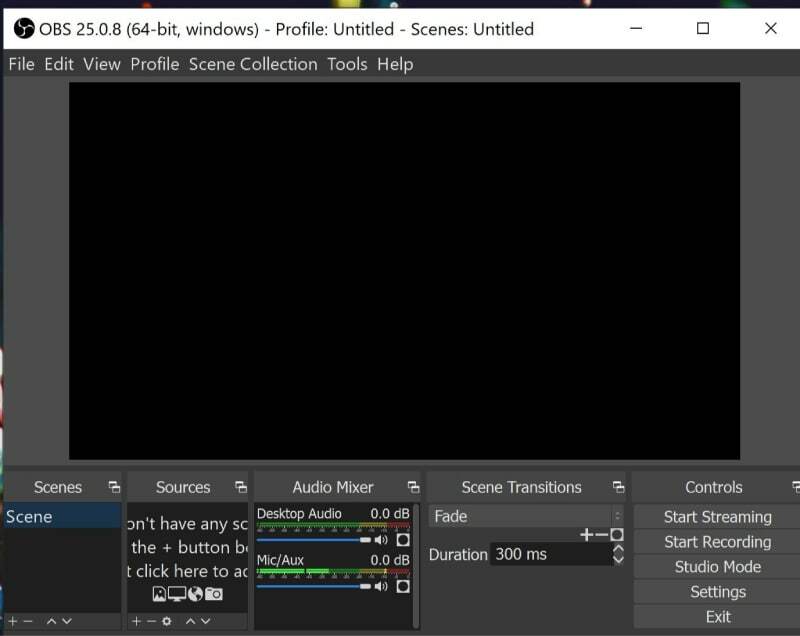 All that you need to do is, whenever you get interesting gaming moment in your gameplay then simply hit the hotkey and the system will automatically save recording for last 30 seconds. These captured moments can be easily shared on popular social media platforms to impress other gamers. 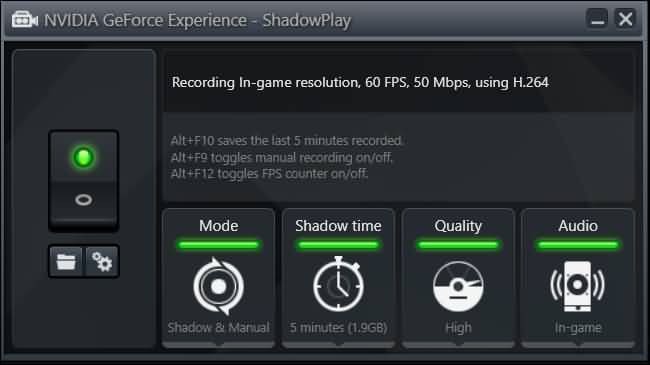 The most interesting thing to know about ShadowPlay is that it offers game recording with 4K content quality and frame rates can be adjusted to 60fps. This is the major reason behind its popular usage for CS Go gameplay recording. Its hardware accelerated recording ability initiates automatic recording on background as soon as you start playing your game. XSplit Gamecaster assists professional as well as beginner gamers with easy recording and live streaming facilities. This tool offers direct connection with all major streaming platforms like Twitch.tv etc. With Gamecaster, you can record high quality gameplay videos and they are directly saved to hard drives. There are lots of options for adjustment of streaming services and the wide range of tools assist in production of high quality videos. With its built in streaming tool, gamers can stream their content, get it edited with advanced customization tools and then it can be uploaded on YouTube. Gamecaster is popular because of its light performance ability that never causes any load on CPU. Reviews reveal that it causes only 7% reduction in game performance when recording resolution is set to 1080p whereas the performance decays by 9% with 720p settings. At an average, this game capture tool performance better with all fps ratings and users can also have better control for overlays. The support options for Xslplit are really good so it is recommended for beginners who are playing CS Go for the first time.